Asaf Cymbal’s proposed Marina Lofts project on the New River in downtown Fort Lauderdale would incorporate existing businesses, including the Water Taxi and a boat repair/storage facility, into the new project. Bill Walker, owner of the Water Taxi business on the property, said he’s excited about the potential to connect to more people and businesses drawn to the project. His 14 vessels can carry between 20 and 150 people. “All the places that we go to do great business and we do great business,” he said. Bjarke Ingels is the architect Cymbal has chosen to design the new plan for the 6-acre site, formerly owned by an affiliate of Cabi Developers. Marina Lofts would be built in three phases of about 350 units each, with two towers rising 36 stories and one 24-story tower. The project is planned on three parcels on the south bank of the New River, between Southwest Fourth Avenue and the FEC Railway. 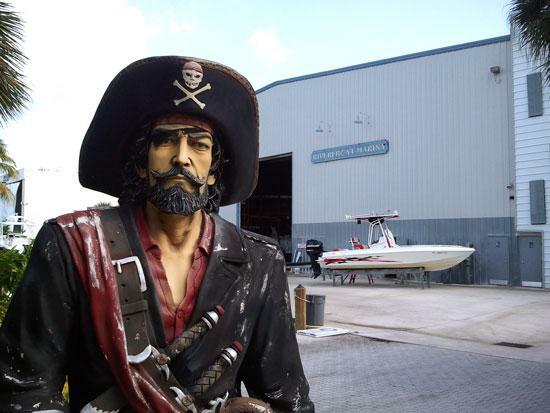 It is currently home to the Water Taxi, the Pirate Republic Seafood Grill & Bar, a boat club that rents vessels and the boat storage facility. Frank Herhold, former executive director of the Marine Industries Association of South Florida, said Cymbal appreciates the added value the waterfront slips and 200-dry stack storage facility bring to the project and the community. Cymbal said that he is reaching out to area stakeholders, including residents, to help shape the site. Kathryn Schauer, VP of the condo association for the nearby 16-story Esplanade on the New River, said its board is talking to the developer about the tower closest to the Esplanade. “We are not against the project,” she said. “There are issues with the project that we would like to have altered. The developer has spoken to some of the board members, and he is willing to make concessions and change certain things in the design to try and accommodate us. The board plays an advisory role, so the result carries no legal weight. Several concerns were raised at its meeting, including the amount of shadow the buildings might cast on parts of the area’s historic district. The Marina Lofts site, however, is not in the district, but on the opposite side of the river and more than 150 feet away, Cymbal noted. Cymbal said he is open to more feedback from the community. “Everyone deserves to be heard, and we appreciate the reasonable comments we are getting, because listening and incorporating them will benefit all of us,” he said.